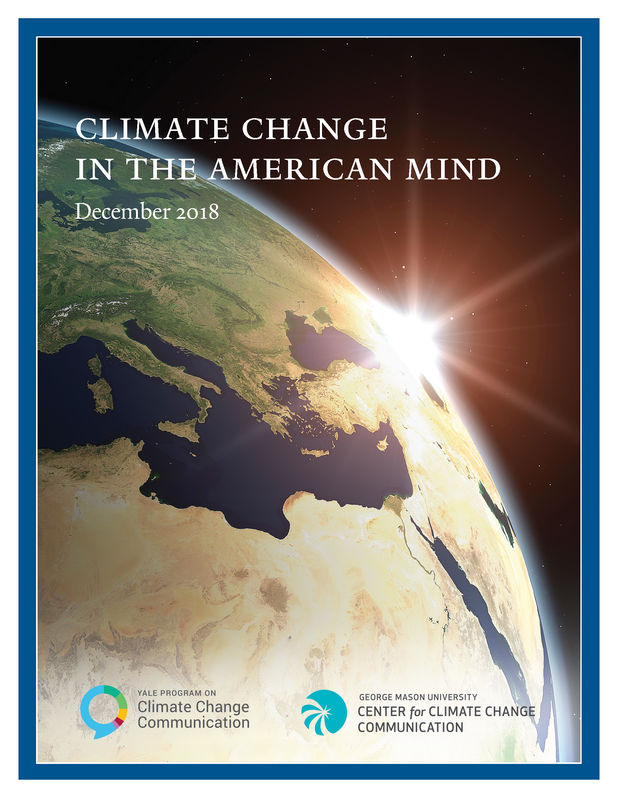 This report is based on findings from a nationally representative survey – Climate Change in the American Mind – conducted by the Yale Program on Climate Change Communication (climatecommunication.yale.edu) and the George Mason University Center for Climate Change Communication (climatechangecommunication.org), Interview dates: November 28 – December 11, 2018. Interviews: 1,114 Adults (18+). Average margin of error +/- 3 percentage points at the 95% confidence level.